See our highlights of DIY sheet metal projects we custom cut and custom bend for you. 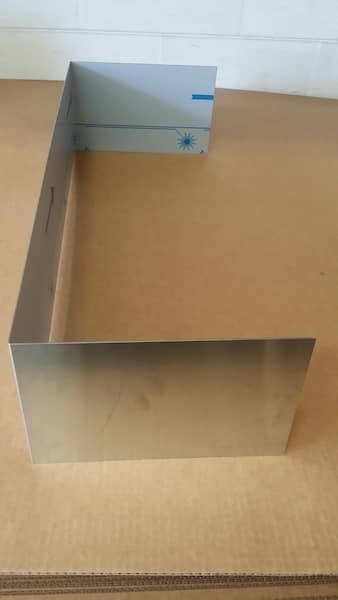 This shows a nice example of a sheet metal aluminum product where the customer used our individual contact form to get in contact with us. By providing a drawing or even a sketch with all the measurements we are able to create a quote. 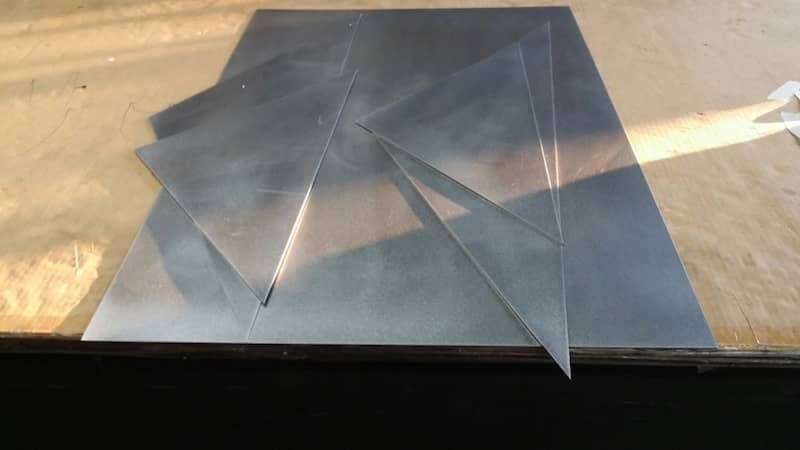 But there are many other DIY sheet metal projects we support and that can be configured online, and you even get a price calculated so you can place it into your shopping cart. 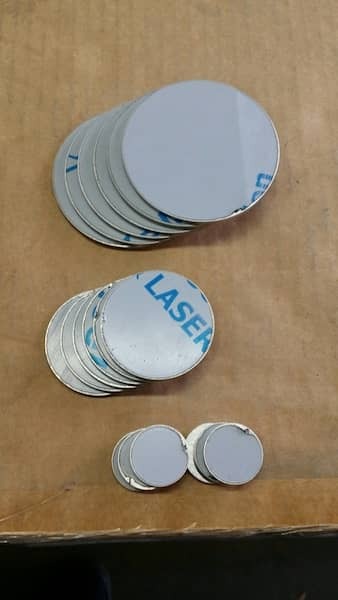 Stainless Steel circles or discs in different sizes. Now this customer ordered several custom cut circles but actually if you only need one that is fine with us as well. Please make sure that you enter the radius of the circle and not the diameter. A unfortunate mistake if you mix those two up. This U Channel, custom cut and custom bend, is actually part of a kitchen backsplash the customer asked us to fabricate fro her. The good side of the stainless steel metal sheet is on the inside. This is why the protective PVC foil is on the inside. The PVC is easy to be pealed off once you have received it. Again a simple metal shape you can configure and order online. Hat Channel and U channel custom cut and bend to your needs and specifications. You can configure the hat channel / U channel / Z channel by choosing from 3 different sheet metal we offer online. 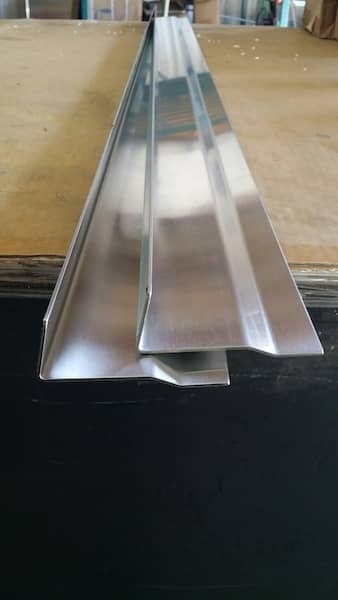 Aluminum sheet, stainless sheet and Steel sheet metal. All with different finishes and a variety of thicknesses. You can even configure a triangle online and use it to build something or to cover something. Some of our customers are using the shape to place it in a corner and then place something on top of it. We offer different triangles on of which is the isosceles triangle which is also called a equal lateral triangle. 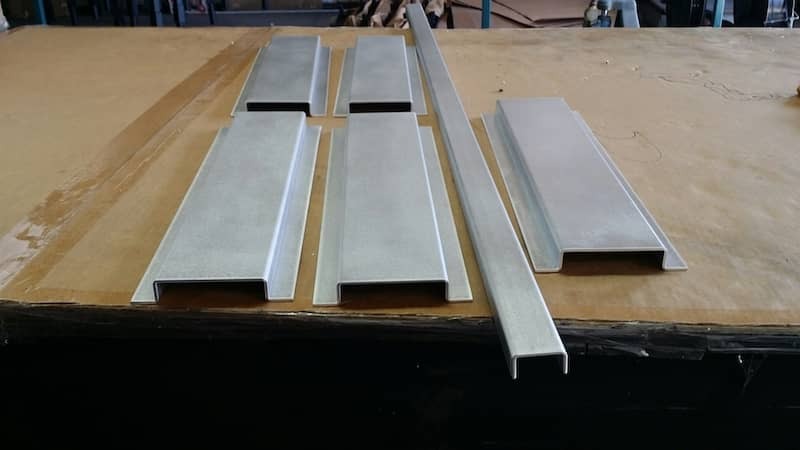 In any case whatever you need the metal for if you need one piece or many, MetalsCut4U is easy to use and fast in delivering your custom laser cut and custom bend metal products.